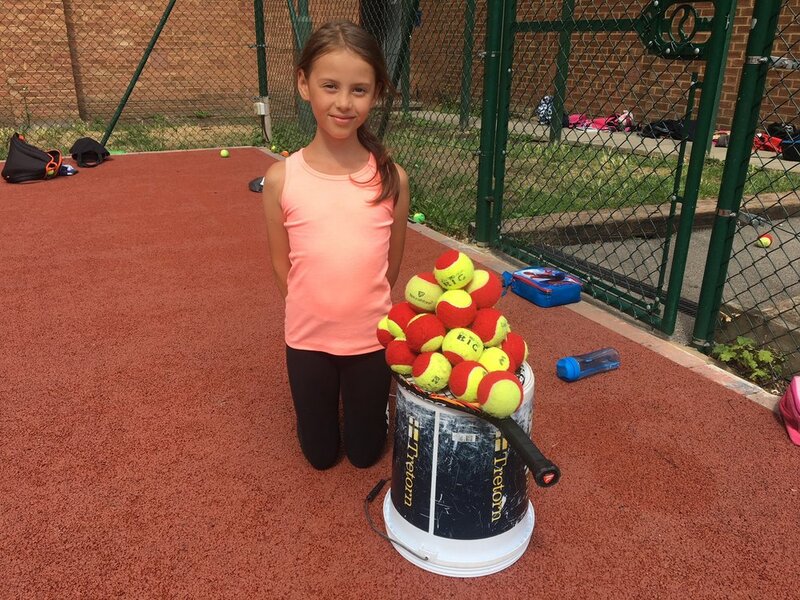 EASY TO SEE WHY JESSICA WON BEST BALL PICKUPER AT THE CAMPS LAST WEEK AT SUNDRIDGE PARK! Nice work Jessica building your tennis ball mountain on your racket! It wasn't the only award Jessica has won at the camps, she also won most improved player...totally awesome Jessica! Newer PostBIG BALL AND AROUND THE WORLD BONANZA AT SUNDRIDGE PARK!! Older PostLEON GOFFIN WINS YELLOW BALL TOURNAMENT AT SUNDRIDGE PARK CAMPS!